Impress your friends with five fast facts about artist Hung Liu (b. 1948), whose work Winter Blossom (2011) is on view in NMWA’s newly reinstalled collection galleries. Hung Liu was born in northeastern China in 1948, two years after the start of the Chinese Communist Revolution. Liu’s father, an officer in the Nationalist army, was arrested when the family crossed into Communist territory looking for food. Liu would not see him again until 1994. Liu studied painting in the Soviet art tradition of Socialist Realism. Rebelling against the strictness of the style, she began to make small landscape paintings in secret, an act she described as “having a dialogue with the wider world.” Only 30 of her estimated 500 to 600 “secret paintings” have survived. At the University of California, San Diego, Liu studied under performance artist Allan Kaprow, who once took his students to a junkyard and encouraged them to create with the available materials. Thinking of her strict art education, Liu felt frozen, then realized there were no rules—she could create any art she wished. 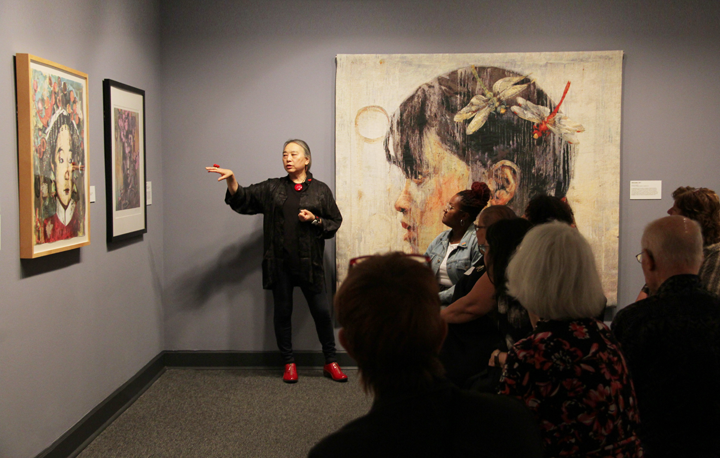 Much of Liu’s newer work explores her identity as an immigrant in America. One large painting represents a “resident alien” identity card on which she has given herself the name “Cookie, Fortune.” Other paintings based on Depression-era photographs by Dorothea Lange capture the universality of struggle and migration. —Mara Kurlandsky is the digital projects manager at the National Museum of Women in the Arts. 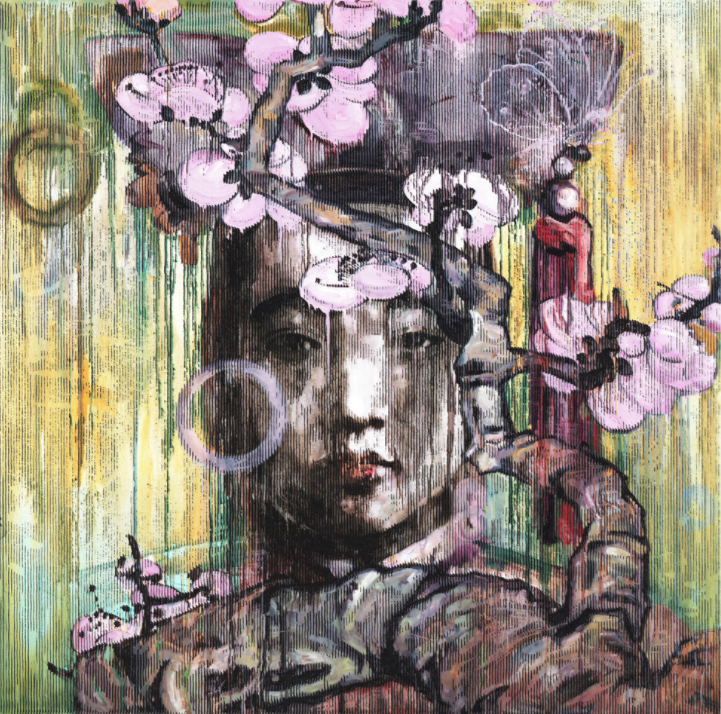 This entry was posted in 5 Fast Facts, From the Collection and tagged Hung Liu, Winter Blossom by Women in the Arts. Bookmark the permalink.